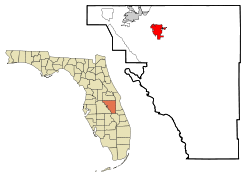 Saint Cloud, Florida is located in Osceola County. Historically St. Cloud has been a farming community, but with the development of Walt Disney World nearby and its close to proximity to major highways such as the Florida Turnpike, the city has seen significant real estate development over the last ten years with many new homes, houses and town homes added. If you need an appraisal in the Saint Cloud area please call us and we would be happy to assist. Have A Saint Cloud Appraisal Question ? Call Now!